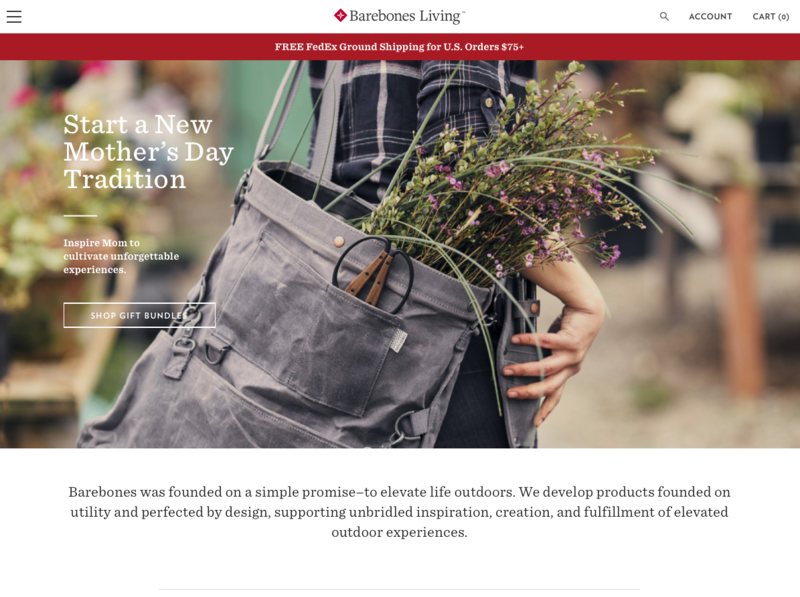 Barebones is a highly innovative company drawing their inspiration from the same founding owners as the amazing product line of goal0.Their new product line focuses on creating innovative high end glamping product designed with the same attention to detail as their other companies. Our goal was to product a high quality branded web experience for their customers that has a strong focus on highly creative design and responsive themes for maximum device compatibility. By developing in Magento they have a potent platform the long haul.